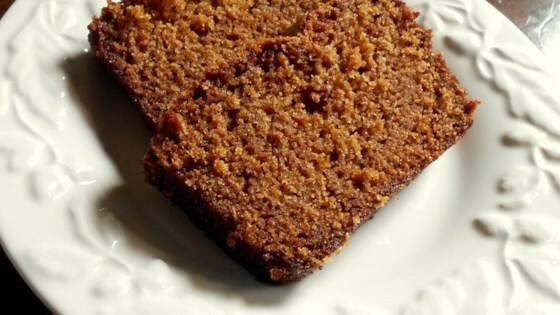 "A moist zucchini bread with the flavor of maple." Bake at 325 degrees F (165 degrees C) for 1 hour. Cool. See how to make a cinnamon-spicy, slightly sweet zucchini bread. This bread is delicious and while moist, it's not soggy like a lot of zucchini breads. Every holiday, this is the first bread to go!! One user noted that the bread is dry but she must NOT have cooked it correctly...as I've made it 12+ times and it is VERY MOIST!! This was an excellent recipe. My husband took it to work and it was gone within minutes. I used between 2 and 3 cups of zucchini. The maple is suttle not overwhelming. I thought this was a delightful recipe. I thought the flavor was wonderful and it turned out very moist!! I will definitely keep this one.